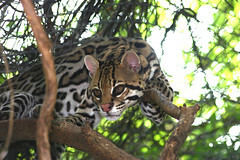 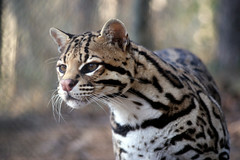 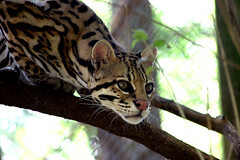 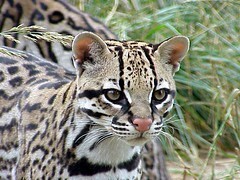 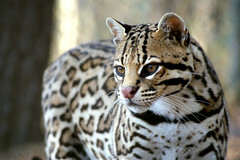 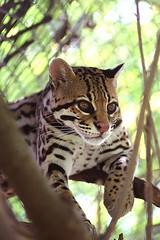 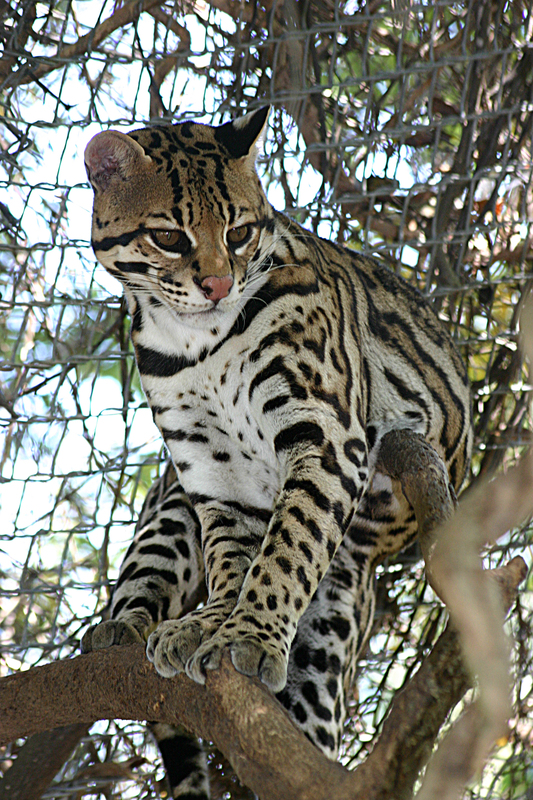 Petee is one of our more social ocelots. 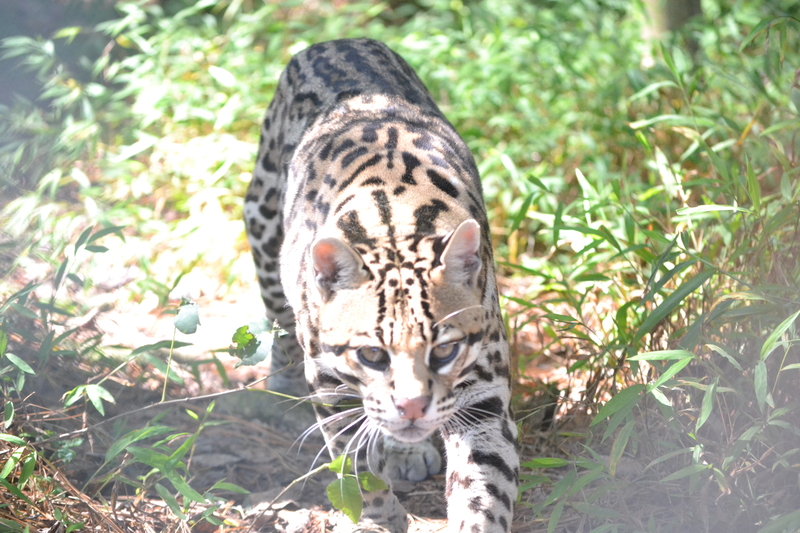 He loves to come up and greet tour guests and visitors, hoping they will have a treat or two for him. 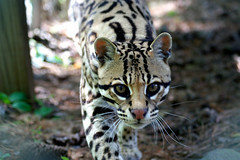 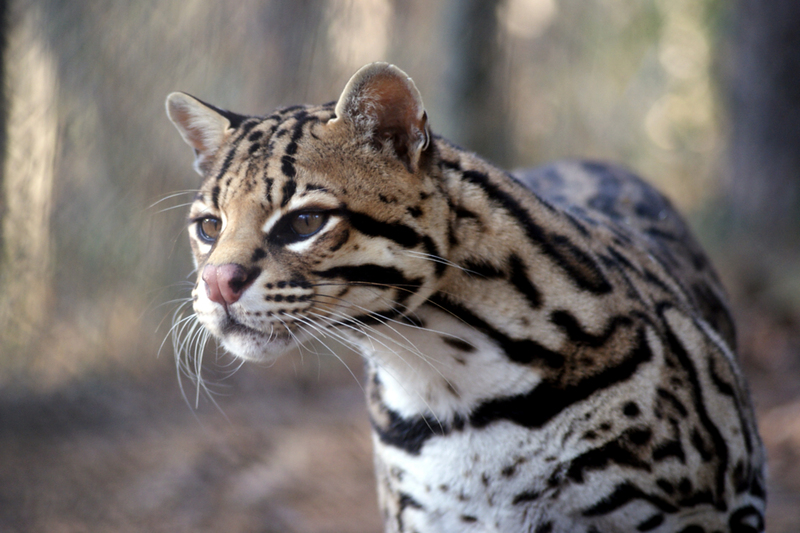 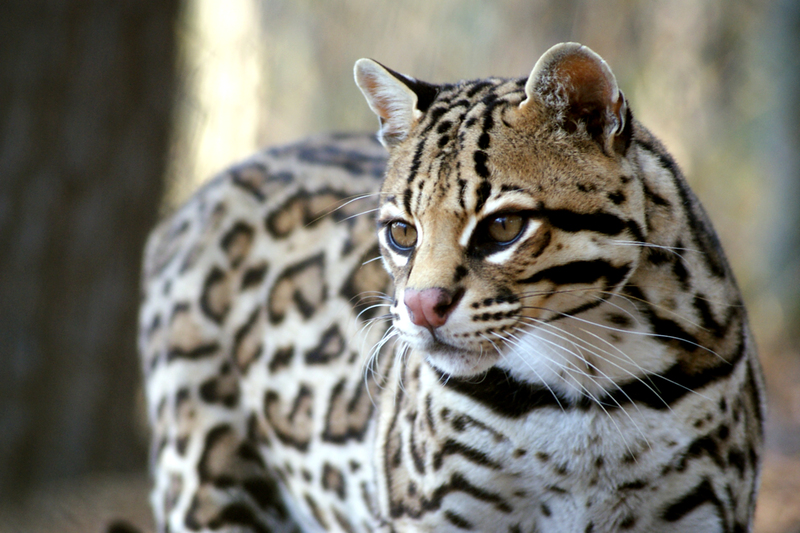 Petee is a tough ocelot who once took on a copperhead and won! 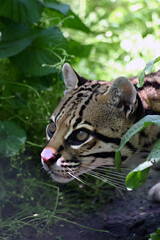 At times, he can become possessive of his water dish, reminding volunteers that it is his and no one else can have it. 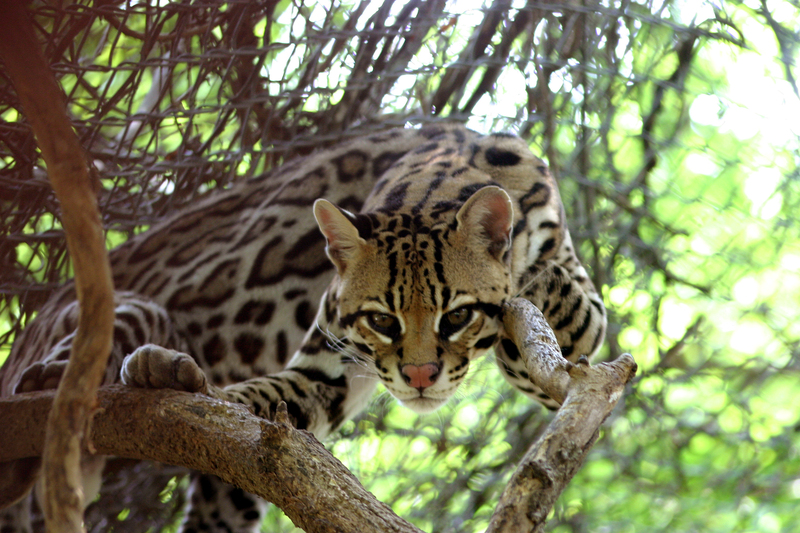 Petee is often just hanging out when tour groups come by; he has become a tour favorite because he enjoys checking out his visitors as they tell him how handsome he is. 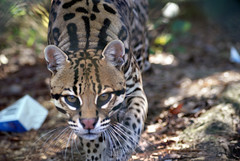 Petee was born as part of Carolina Tiger Rescue’s former breeding program. 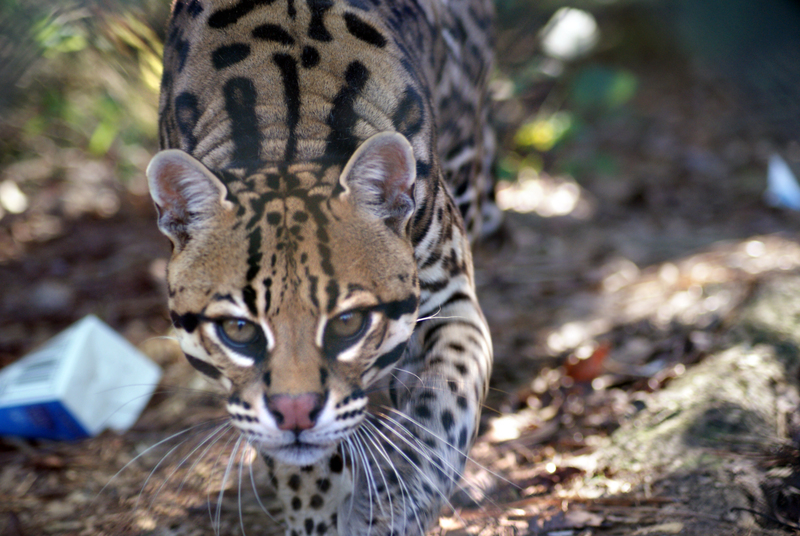 Carolina Tiger Rescue, formerly Carnivore Preservation Trust, was originally founded to breed keystone species in hopes of one day releasing them into a safe environment, but that day never came. 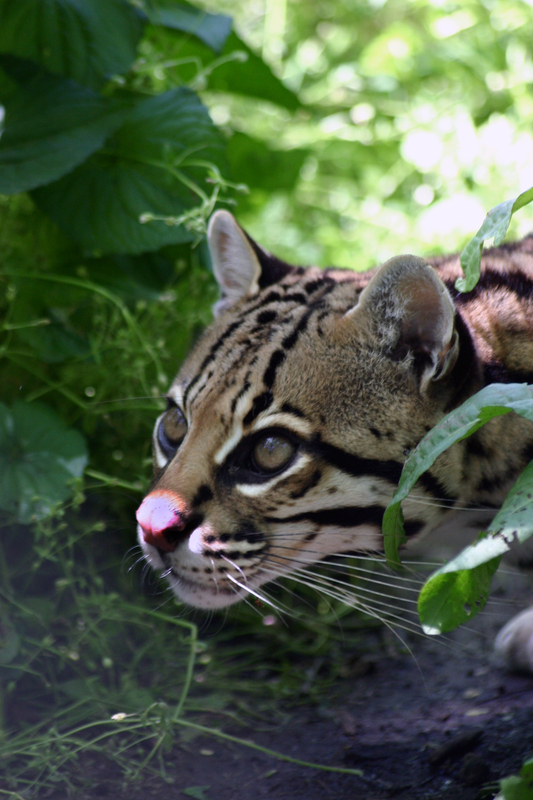 The animals who were born here will remain at Carolina Tiger Rescue for the rest of their lives. Petee is a very social ocelot who enjoys checking out any guests or tours that happen by. 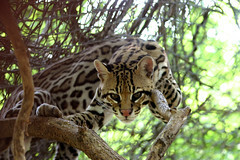 As with most ocelots, Petee loves different scents. 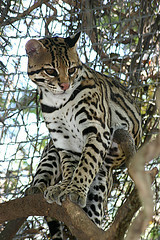 His absolute favorite is Calvin Klein’s Obsession! 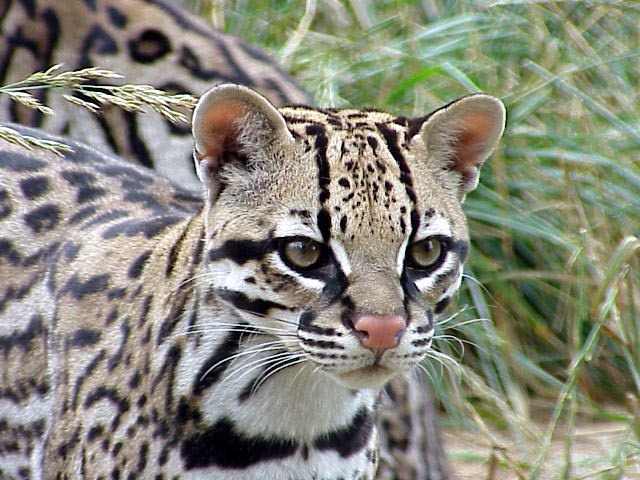 If given something with a scent on it, ocelots will rub their cheeks, necks, and bodies on the scent to cover themselves in it and to mark it as their own. The white marks on the tops and bottoms of Petee’s ears are a very stark white that stand out more than usual, giving him a distinctive look. Many people think ocelots look like little leopards and often confuse them with leopards. 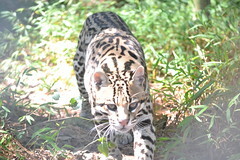 Petee lives across from Elvis Serval on Cherry Lane along the tour path. 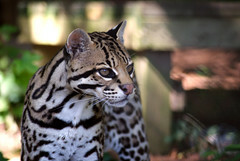 In the late 1990s, Carolina Tiger Rescue, formerly Carnivore Preservation Trust, decided to stop breeding due to the number of accredited facilities that were abiding by the Species Survival Plan. 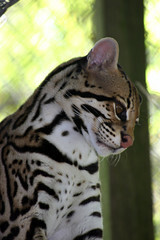 The Species Survival Plan was set up to ensure that breeding in captivity is only done to conserve a species. This helps limit needless breeding and prevents a surplus of animals living in captivity. 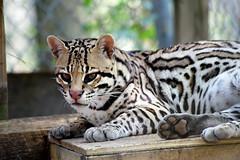 Carolina Tiger Rescue only supports breeding in captivity if it is done in accordance with the Species Survival Plan.